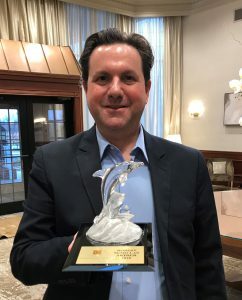 The CFLCW Dolphin Award grew out of an effort of a group of collaborative professionals in California as they sought to develop a symbol for their work. They selected a dolphin that was the centerpiece of a unique wall hanging that contained the challenge of “breath deep, fly high, seek peace.” CFLCW adopted that symbol as the centerpiece of its first dolphin award given in 2005 to those members who through extraordinary and unselfish service to the council exemplify the very best effort in meeting that challenge. 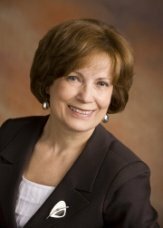 In 2013, the CFLCW Board adopted a proclamation naming the Annual Dolphin Service Award in honor and memory of Kathleen M. Baird, JD, the 5th Chair of CFLCW. Arthur serves on the Boards on both CFLCW and the Foundation, and is the current Program Planning Committee Chair. He was named Chair-Elect for 2019 and will serve as Chair in 2020, the 2oth Anniversary year of the Council. Our special thanks to those recipients listed below that are 2019 Dolphin Sponsors!